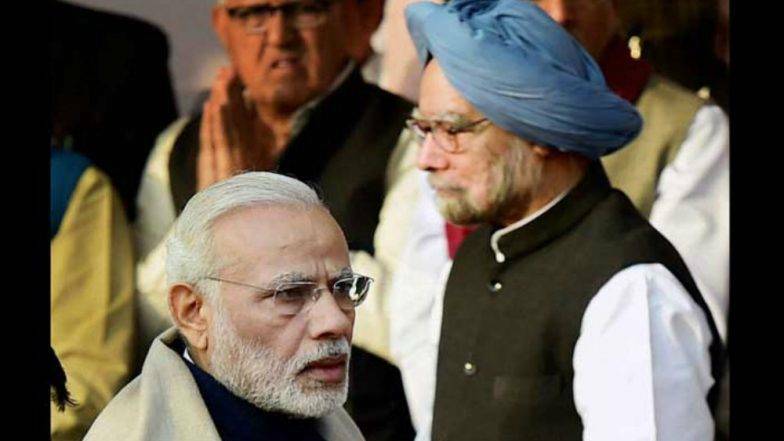 According to the centre, India’s economy grew by 8.5% in 2010-2011 and not by 10.3% as estimated in a report released in August, thus bringing the GDP accrued in the Manmohan Singh-led UPA era down by nearly 2%. The new data was computed and released by the Central Statistics Office on Wednesday, after the centre dismissed the earlier GDP data put out by the National Statistical Commission. What does the new back series data say? The new back series brought out by the centre ahead of the 2019 Lok Sabha polls claims to present a better picture of the economy, and has already sparked an intense row for more reasons than one. First, back series data from 2004-05 to 2011-12 showed that GDP growth rate in 2011-12 has been revised down to 5.2% from the previous 6.6% expansion. The recalibrated growth rates now reflects the average growth in GDP under the BJP government (7.35%) between 2014-2018, as marginally better than that of their predecessor’s (6.7%) during 2005-2014. Many have termed this a baseless competition because the UPA government’s economic policies were crafted keeping in mind the global economic crisis of 2008. Secondly, the veracity of the new data needs to ascertained, especially considering BJP’s trend to manipulate statistical data in the recent past. Thirdly, critics and opposition have claimed that the BJP government has deliberately confused the common mass by changing the base year from 2004-2005 to 2011-2012 immediately after Narendra Modi came to power. A new back series was called for, because old data was deemed incomparable to that of the later years. It also comes in the light of the back series published by the National Statistical Commission which showed that the economy had grown faster during the previous government. Pat came the reply from the Congress which leads the UPA alliance. “Now that Niti Aayog has done the hatchet job, it is time to wind up the utterly worthless body,” said former Union Finance Minister and Congress leader P Chidambaram. Defending the revision in GDP growth rates, the government’s principal economic advisor Sanjeev Sanyal said that the economic growth during the UPA regime was “pretty decent” given the macro instability and spiralling inflation during its 10-year regime. He added that that the basis for the revision was use of internationally accepted standards. Rajiv Kumar had also tweeted that the new series is in sync with UN Standard National Account (SNA – 2008). Is this data to be trusted? Several experts have termed this an attempt to hide the economic mayhem the Modi government has caused the Indian economy with radical moves like demonestisation and GST. It is also been seen as a ploy to discredit and revise the opposition’s work in the run up to the general elections. Sudipto Mundle, who had worked on the disowned back series data, explained the diferrence in methodologies between the two teams. He also told Business Today that CSO used some data which only they had access to, and to understand how it was able to reverse the findings of the earlier report, further study is required.